4.5 billion years ago, a cloud of carbon dioxide covered the early earth, heating the planet to over twice the boiling point of water. Chunks of rock that had yet to coalesce into the moon bombarded the planet, while volcanos borne of constant geologic upheaval belched sulfuric acid. “Cinereous Incarnate”, the third full length album by California based outfit Abstracter, evokes nothing more than this period of planetary brutality. 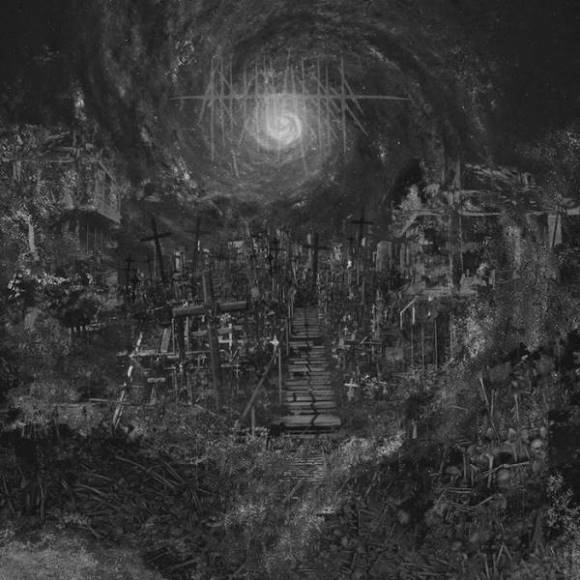 To get genre out of the way: “Cinereous Incarnate” is Blackened Sludgey Doom. If you’re like me, you might be skeptical of such a melange of genres sounding unique. Fear not: the absolute heat of this album melts all of these influences into something really special. “Cinereous Incarnate” opens with “Nether”, a song of ringing dissonance, chugging bass, and hefty drums. Inhuman growls carry the track into a lull of transcendental blasting feedback before opening into the most doomy offering on the album, “Ashen Reign”. “Ashen Reign” pours out of speakers like pahoehoe, the viscous form of lava. Crunchy guitar and muted bass are supported by sibilant drums that increase in tempo before surrendering to void. Drums return more punchy on the exceptional “Wings of Annihilation”, which opens with more subdued growls, sludgy guitar, and thick dark bass that evokes the crushing depth of a starless abyss. The drums hit you like a shock wave, brutalizing the senses until fading into the atonal hum of “Incarnate”. The album ends with the front and center primal howling and snare-y drums of “Devouring Night”.